A statement released by the Tigray People’s Liberation Front (TPLF), the ruling EPRDF’s oldest member, called Ethiopia’s recent decision to accept fully the Ethiopia-Eritrea Algiers Agreement and the subsequent decision by the boundary commission and to partially and/or wholly privatize major state-owned companies have “fundamental flaws”. The statement also called for the executive and the council of ruling party EPRDF, led by the new Prime Minister Abiy Ahmed, to hold an emergency meeting to review these and other issues of importance. In an unprecedented move after a day-long meeting by the 36 Executive Committee members of the ruling EPRDF, a statement released on June 05/2018 by the politburo said “Ethiopia will fully accept the December 12, 2000, Algiers Agreement”, a peace agreement between the governments of Eritrea and Ethiopia, which established a special boundary commission. The executive also decided to open up Ethiopia’s economy both to Ethiopian and foreign investors by making partial or full privatizations in key state-owned enterprises including industrial parks, railway projects, sugar factories, hotels and other manufacturing industries. 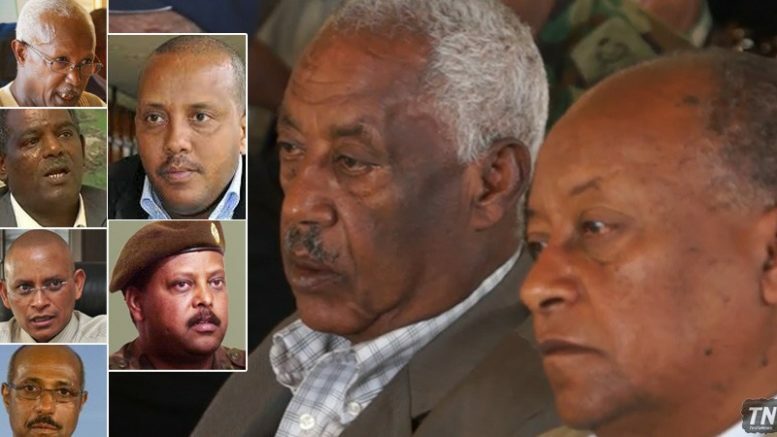 TPLF’s statement came after a two-day emergency meeting by the executive of the TPLF which took place between today and yesterday in Mekelle city, the capital of the Tigray regional state in northern Ethiopia. It further said that EPRDF’s decision both on Eritrea and the economy “failed to take into account” the “fundamental leadership deficit and its damages visible within the EPRDF coalition and failed to evaluate the progress in the recent “deep reform” agenda the party, as a collective, was undertaking in order to solve the mounting challenges it was facing. But it also condemned the decision on the bases that it was made public without the consent from the 180 EPRDF council members, as party doctrine dictates; the participation of EPRDF’s five satellite parties representing Ethiopia’s periphery i.e: parties that represent the Ethiopian Somali, Harari, Afar, Benishangul and Gambella regional states; and without due consultation with relevant bodies. Further to its denunciation of the decision, the statement called on an end to what it said was “new appointments” that are not according to EPRDF’s established “organizational principles”; and called for an emergency meeting to be held both by EPRDF’s 36 executive and 180 council members. The statement came in the backdrop of increasing public protests happening in various cities and towns in Tigray regional state, TPLF’s constituency, against the federal government’s decision to accept the Algiers agreement and the boundary commission’s decision, which awarded the town of Badme, the flashpoint of the 1998 – 2000 war between the two countries, which claimed the lives of tens of thousands on both sides.